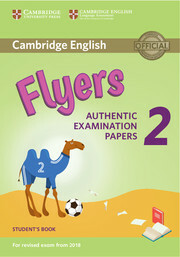 This collection of examination papers for Flyers provides ideal exam practice. It contains three full-colour test papers which contain engaging activities and attractive illustrations to motivate young learners. These papers also provide an excellent opportunity for children, parents and teachers alike to familiarise themselves with the format of the revised test. 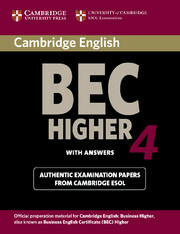 An Audio CD (which contains the listening sections of the tests) and an Answer Booklet are also available separately.